Find out why MagHub is the best software for magazine managers. Trying to flatplan can be an impossible task if you don’t know which ad spaces have been sold. If it is on paper, it is exceptionally time consuming to print out the layouts and put them in a place the entire company can see. MagHub makes this process easier. 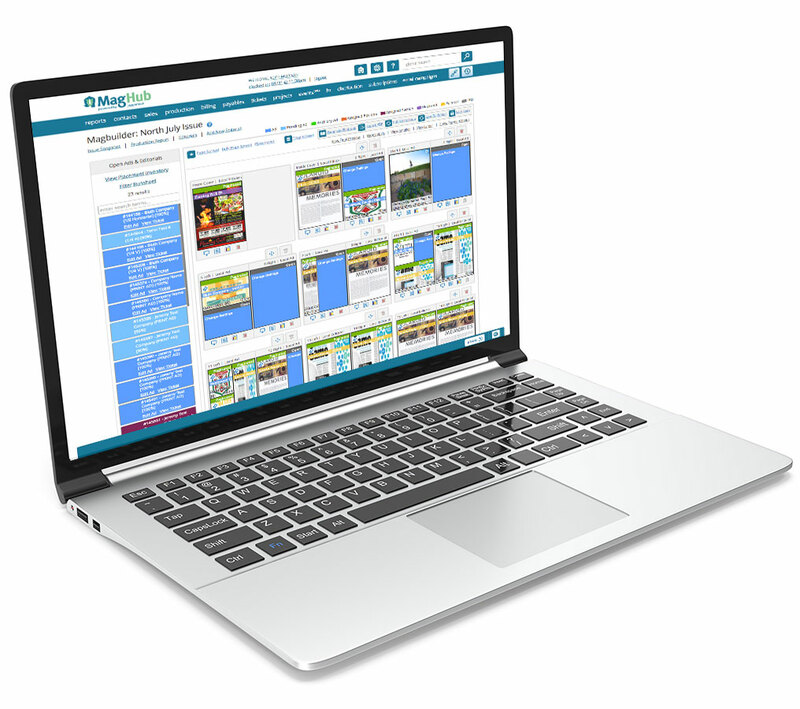 MagBuilder is our flatplanning tool that integrates sales and production into an intuitive drag and drop interface.